Welcome to our website. Before anything else, let us ask you a quick question: Approximately how many search results did you see on your search engine page before you clicked to our site? The answer is probably hundreds - at a minimum. And you clicked on our website. That should tell you something, because no matter what search engine you use -- Google, Bing, or whoever, they always prioritize the best, most reliable results in a particular field, at the top of their results. With that said, you can be confident that you’re in the right place. Now, how can we help you? Have you been hurt in an accident? Have you suffered an injury due to someone else's negligence? At the Law Offices of William D. Kickham, we understand the stress that accident victims face in the aftermath of a car accident, a slip and fall, a nursing home neglect or abuse issue, a surgical error, a construction site accident, a brain injury accident or another devastating event. In many unfortunate cases, the harm caused by someone else’s careless actions may last for years or even for a lifetime. You deserve to have a steadfast advocate on your side who can fight for you at every stage of the legal process, holding accountable those who were responsible for your injuries. Attorney William D. Kickham has a strong track record of results that has extended for over two decades. He provides personal attention to each and every client, taking the time to answer their questions and address their concerns. We invite you to use this website to learn more about our firm, what we do for our clients, and why we do it better than most law firms. Car accidents produce far more long-lasting, and often permanent, injuries than most people think and too many people think this way - largely because the auto insurance industry has convinced many Americans that most car accidents are “minor”, and that most of the damages in these accidents are “low”. Those ideas are fallacies - they’re completely untrue. In fact, motor vehicle accidents cause some of the most serious, long-lasting injuries that we see in our injury law practice. 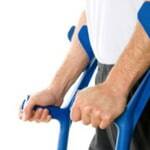 Many times, injured victims are never physically the same, and suffer pain for several years to come. 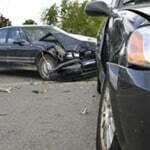 People who have been struck by a careless driver in Massachusetts have important legal rights that they can assert. They may be facing substantial medical bills as well as loss of income, and their injuries may cause significant pain and suffering. Victims can recover these damages and more by proving that a driver was negligent in causing the car accident that resulted in their injuries. This involves showing that the driver failed to act safely behind the wheel. They might have been texting on a cell phone, have run a red light, or have failed to take changing road or weather conditions into account, among other examples. Following an accident in Boston or beyond, personal injury attorney William D. Kickham can uncover the right evidence to prove that the other driver acted negligently and that this negligence caused his client’s injuries. A strict statute of limitations governs most of these claims, so it is critical to take action without delay. These cases are among the saddest that we see. The decision to place an aging or infirmed loved one in a licensed care facility is usually one of the most difficult, heart-wrenching decisions a family can make. However, sometimes it proves unavoidable, and family members have a legal, contractual, and moral right to expect that their loved one will receive appropriate care and treatment from a nursing home. Far too often this does not happen, especially at facilities that are understaffed or that fail to properly supervise their employees. Most nursing homes these days are owned by huge out-of-state corporations - even if the name on the nursing home hasn’t changed in years, and the quality of care at thousands of such care facilities has plummeted, driven by cost-cutting and the relentless drive for profits ahead of patients. 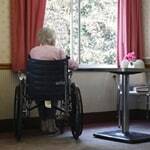 Many nursing home residents suffer from bedsores, overmedication, slip and fall accidents, or even egregious misconduct like physical or sexual assault. These cases are often among the worst that we see, and we don’t stand for them - not one iota. 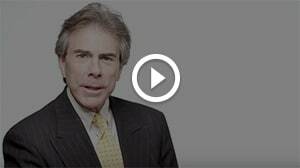 These tragic events can often form the basis of a nursing home neglect or abuse action, and we litigate these abuse cases very, very aggressively. We simply won’t stop until we discover every last piece of evidence in favor of our client. In some cases, serious wrongdoing may allow a resident or their family to seek punitive damages in addition to compensatory damages. Car crashes, construction accidents, nursing home negligence, medical malpractice, and injuries due to defective products can all lead to fatal consequences. The families of victims may suffer not only the emotional grief of losing their loved one but also the anxiety of not knowing how they will support themselves in the absence of the victim’s income. In such situations, it may be possible to pursue a wrongful death claim against a person or parties whose careless actions or misconduct caused the fatal accident. In addition to the costs of medical expenses and funeral expenses, they may be able to recover compensation for their loss of companionship, support, consortium, and more. Successfully bringing these cases to settlement or trial, however, isn’t, legally speaking, “a piece of cake.” Due to the high damages that are usually involved in wrongful death cases, these cases are aggressively defended by the liability insurance companies involved. Winning these cases demands the expertise of a Massachusetts wrongful death attorney, who can demonstrate a solid track record of success. Aside from the devastating long-term consequences that brain injuries can cause (often called “traumatic brain injuries”), one of the most frustrating aspects of this type of injury for victims and their families, is even knowing if a brain injury has occurred at all: In injuries involving, for example, a fractured skull with bleeding, a brain injury can often be obvious. But with a closed-head injury, it usually isn’t. It’s not like looking at a laceration in the skin or a broken bone. Even X-rays, CT scans and MRI’s can often “miss” a traumatic brain injury. Worse still, often times these imaging tests can come out “normal” right after the injury has taken place - only to grow much worse as time moves on. Brain injury cases are unique, complex, and challenging. Sometimes they can involve merely a bump on the head; sometimes an impact that is much more severe. Because we’ve seen so many of these cases, we know how to determine whether a client has suffered a traumatic brain injury, because we work closely with some of the most respected neurological and cerebral experts in the country (many of which are located right here in Massachusetts.) Our experts utilize the most modern, state-of-the-art technology advances available in proving your case. First things first: If you’ve suffered a head injury of any kind, your No. 1 priority should be to seek immediate medical attention. Do not dismiss as “unimportant” mild symptoms such as headache, dizziness or difficulty concentrating. Time is your enemy in situations such as this. You should be promptly evaluated by a competent doctor - we always recommend either a hospital Emergency Department with an attending staff neurologist, or a PCP referral to a neurologist, ASAP. 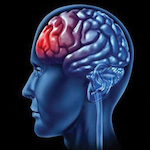 Your Next Priority: Contact a very experienced Massachusetts traumatic brain injury attorney. At the Law Office of William D. Kickham & Associates, we’ve been handling these types of cases for over 25 years. We aren’t “newcomers” to this field, or “wannabes”. That is not what you want and need if you’ve suffered a brain injury: You need experienced legal experts who get large financial results for their clients. 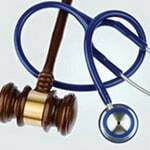 A general practitioner will be unlikely to obtain the maximum amount of financial recovery for your damages, in this type of case. Call us, email us or send us a Contact form from this website, and we’ll be happy to provide you with a free initial case assessment, and explain how we work and that you won’t owe us any attorneys’ fees until we secure damages for you. Translation: We’ll give you answers, not pressure. To learn a lot more about traumatic brain injuries and the legal process of seeking compensation for these injuries, click here to be taken to our specialized page on this practice area. Doctors, nurses, hospitals, and other health care providers have an obligation to patients to treat them with the proper medical standard of care under the specific circumstances presented. The appropriate standard of care is defined as what a competent practitioner in the same field of practice would have done when treating a similar patient under similar circumstances. Unfortunately, medical malpractice can take many forms, ranging from misdiagnoses and emergency room mistakes to surgical errors, anesthesia errors, and failures to address post-surgical complications. These medical issues can often be very complex. As a personal injury lawyer based in the Boston area, William D. Kickham has years of experience in being able to isolate and determine whether or not medical negligence occurred in a given situation, and if it did occur, which medical provider committed that medical negligence. 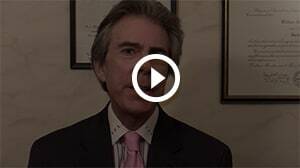 This typically involves retaining an expert witness who can explain to a judge or jury how the defendant breached the standard of care and how their negligence caused your injuries. Once liability is established, damages then become the issue, which we have a strong expertise at proving. 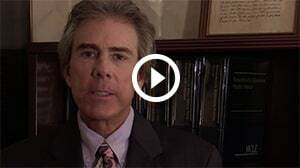 Massachusetts medical negligence cases are not easy to win. They are fought very aggressively by hospitals and the medical liability insurance companies involved, and because of this these cases require top-level talent and proven expertise to win. Almost all workers in Massachusetts are covered by the special workers’ compensation statute in Massachusetts if they suffer an injury or contract an illness while at work or on the job. What is sometimes challenging is defining what “on the job” actually means: Sometimes, a worker can be injured while going somewhere or doing something, that the employer claims was not work-related. Defeating these types of employer defenses requires a successful Massachusetts workers’ compensation law firm. The advantage to injured employees of filing a workers compensation claim is that, in contrast to personal injury claims, a worker does not need to prove that the employer or a coworker was at fault. Instead, an injured employee’s attorney can demonstrate the employee’s eligibility for benefits by proving that the accident or illness occurred in the course and scope of their employment. Benefits may be classified as either permanent or temporary and as either partial or total, depending on the medical evaluation of the victim. Even employees who are suffering from a pre-existing condition may be entitled to receive benefits if their job exacerbates their condition. While seeing someone slip and fall in a comedy sketch may seem funny, in reality these accidents are anything but that. When a person falls - especially if they slip first - the force that the person’s body usually strikes the ground with, is extremely severe. It would take a small course in physics to explain it, but trust us: The injuries that can result from the average person hitting the ground after slipping, are often quite severe - including broken backs, broken necks and broken bones. The older the victim is, the worse the injuries are. If you suffered a slip and fall, trip and fall or another accident on someone else’s property, you should explore the possibility of taking legal action with the assistance of Boston personal injury lawyer William D. Kickham. A property owner in Massachusetts must take reasonable measures to maintain their premises so that they are safe for guests and visitors. This is especially true for business owners, which must fix or warn about hazards on their property of which they know or reasonably should know. Slip and fall claims and trip and fall claims often revolve around proving what is legally known as "constructive notice". This means that the dangerous property condition likely existed for a long enough period of time that the property owner should have noticed it through the exercise of reasonable care. Evidence such as surveillance videos and witness testimony can disappear or decay quickly, so you should act quickly to retain an attorney who can promptly investigate the accident. The construction industry is one of the most dangerous in the U.S., accounting for roughly a quarter of all workplace fatalities nationally each year. 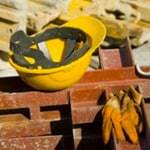 While a workers’ compensation claim is often the primary recourse for a construction worker who is injured on the job, additional parties aside from the worker’s primary employer may also be liable for the accident or injury. These include third parties, including manufacturers of equipment such as cranes and certain tools needed for the construction project. Resultantly, an injured construction worker may be able to bring a personal injury action against someone such as a negligent forklift operator a manufacturer of defective equipment. Construction accident cases can often present a complex task of legally identifying what parties can be sued for damages stemming from the accident, and our firm is experienced at identifying and isolating all and any of the parties that may be held liable for your injuries. This is critically important, because bringing a legal action against third parties aside from the injured workers’ direct employer, may allow the injured worker to collect significant damages such as pain and suffering, which a workers compensation claim does not allow for. Boston personal injury attorney William D. Kickham can identify all of the parties that may have contributed to your injuries, maximizing the number of defendants whose liability may have caused or contributed to the accident involved. Because of the high level of damages that are typically involved in these cases, they are fought and defended very aggressively by defendants and their liability insurance carriers. Resultantly, these cases demand the proven expertise of very successful construction accident litigators. There aren't many law firms out there who really occupy this level of expertise - and ours is one of them. Because of the disparity in weight between trucks and cars, truck accidents often lead to devastating physical and financial consequences. The federal and state governments have enacted many specific regulations that control this industry. 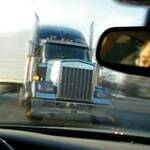 If you can show that a truck driver violated a regulation, such as by spending too many hours behind the wheel without a rest break, you likely will have a strong claim. A victim of a careless trucker often can hold the trucker’s employer liable for damages as well. This requires proving that the accident happened while the trucker was performing their job duties, such as delivering a shipment for the employer. In addition to this theory of vicarious liability, a trucking company may be held accountable if it failed to properly train and supervise its drivers, if it carelessly conducted its hiring process, or if it failed to perform required maintenance on its trucks and related equipment. Consumers have a right to expect that manufacturers will take all legally required safety precautions in designing and making the products that we use on a daily basis. 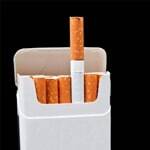 Regardless, many of these products unfortunately reach the marketplace in a defective condition, and these defective products may cause harm to their unsuspecting users. This type of lawsuit is called a product liability claim. Our firm has specialized expertise to help someone who has been injured by a defective product to bring a very strong claim based on various legal theories, such as a manufacturing defect, a design defect, or a lack of adequate warnings. A manufacturing defect is a problem that occurred during the process of manufacturing the item, and it usually affects only a limited number of items in the line. By contrast, a design defect consists of a flaw in the intended design and blueprint of a product, so it applies to all of the items in the product line. Defective products cases are very complex, and require a Massachusetts defective products law firm that can demonstrate proven successful results. The Law Offices of William D. Kickham is ready to accommodate the needs of accident victims. We provide free case evaluations and can travel to your home or the hospital as needed. Our firm works with a wide network of personal injury attorneys throughout Massachusetts, which gives us the benefit of their specific knowledge and skill sets when a case requires it. This allows us to combine our principal’s personalized attention with resources that are more substantial than what many other small firms can offer. Contact us at 781-320-0062 or reach us online to get started on discussing your case with a dedicated personal injury lawyer in the Boston area. Flying Snow & Ice From Massachusetts Drivers: Can You Say Deadly? Whether it's politically correct or not, I have to say it: Some people really amaze me with their level of foolishness – or downright stupidity.